A big point of contention, in a region plagued by bellicose politics, is whether to welcome Syria back into the Arab fold now that President Bashar Al Assad has restored control over most of his country. 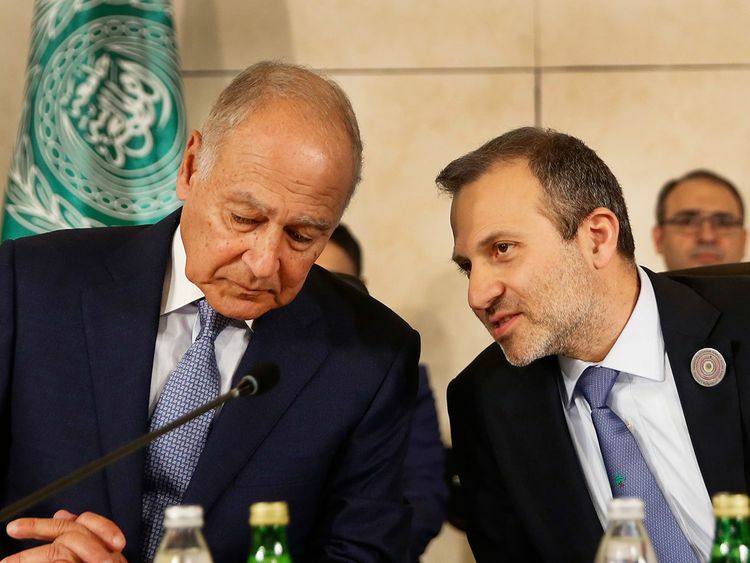 Lebanese Foreign Minister Jibran Bassil, at a pre-summit meeting on Friday, called for Syria to return to “our embrace” in the Arab League after being suspended for seven years. The group’s secretary general, Ahmad Abu Al Geit, was cited by Lebanese state media on Thursday as saying there was “no Arab agreement over the return of Syria”. ‘The summit of excuses and Arab disappointment’ was the headline in Al Jumhuriya daily newspaper. That of another daily, Al Nahar, was: ‘Beirut’s shock ... a summit without presidents’. “It doesn’t take away from the importance of the issues [to be decided at the meeting],” said the Arab League assistant secretary-general Hussam Zaki. Lebanon’s powerful Iran-backed Hezbollah fought alongside Al Assad in Syria and wants Arab states to normalise ties with Damascus. Some other Lebanese parties are wary of Damascus’ role. ‘No Arabs without Damascus’, was the headline on Friday in the pro-Hezbollah Al Akhbar newspaper. Meanwhile, members of the Amal party, a Hezbollah ally, on Sunday tore down a Libyan flag near the summit venue and burnt it. They are angry over the disappearance of Shiite cleric Imam Mousa Al Sadr while visiting Libya in 1978. Libya was then ruled by Muammar Gaddafi, who was overthrown in 2011, but Amal politicians accuse the internationally recognised government in Tripoli of not cooperating with investigations into Al Sadr’s disappearance. The Libyan government has boycotted the summit in protest and pointed out that thousands of Libyans also disappeared under Gaddafi’s four decades of autocratic rule. “I don’t think this was necessary. It’s just two or three presidents,” said chocolate shop employee Mustafa Shatila in Beirut, bemoaning the closure of streets.